Choosing the right weight lifting equipment is the first step many people take toward better health and fitness routines they can live with. If you make your choice wisely, your exercise equipment will provide years of healthy workouts. From simple hand held free weights to an elaborate home gym, the range of available weight lifting equipment is staggering and can often be confusing and complex. In this article, we'll look at some of the most popular types of powered fitness machines and manual (non-powered) exercise gear. We'll also give you some general guidelines for selecting home exercise equipment. 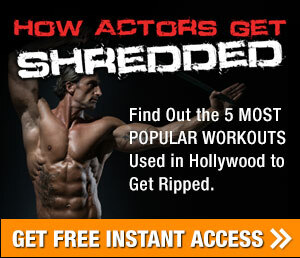 Since muscle burns more calories than fat, building lean muscle plays an important role in weight loss. The more muscle you have, the more fat you'll burn during a cardio workout. Your workout program should include both types of exercise to build endurance, burn fat and develop muscle mass. Next, you'll need to select equipment that suits your lifestyle and available time. Manual treadmills are generally simple in design and very affordable. The belt on the treadmill moves by virtue of your foot pressure while walking. Some manuals have adjustable incline (also manual), a highly desirable feature, since increasing the incline allows you to vary the intensity of the workout. You can set your own pace on a manual - it goes only as fast as you go. Some people think using a manual is boring because of its limited functionality. Whether manual or powered, your treadmill should have a digital display that shows minimally how fast you're walking and how far you've gone. If you stick with your exercise program, chances are you'll outgrow a manual treadmill rather quickly as your endurance increases. For example, you can't run on a lot of manual treadmills. They aren't designed to take the stress. Powered treadmills use a motor to move the belt, keeping the rate at which you walk constant - you go as fast as the machine. Many powered treadmills have powered incline adjustment. Electronic displays on this type of treadmill are more elaborate - showing a variety of information including calories burned. One of the main advantages of a powered treadmill is that it's more challenging - it can go faster than you can, so you have to work harder to keep up. Some powereds have built-in programs that vary the intensity of the workout automatically, a feature that helps keep the workout from getting boring. One of the drawbacks of a treadmill is that it's high-impact. Some treadmills have a mechanism (like moving pole handgrips) that will also exercise the arms and upper body. Exercise bikes, recumbent bikes and pedal exercisers are good for the large muscle groups in the legs. The popular spinning workout is done on an exercise bike. These machines are manual and have variable resistance. Some exercise bikes will also work the torso and upper body. A recumbent bike puts less pressure and stress on the back, since the pedaling motion is accomplished from a reclined position. A small, compact device, the pedal exerciser is good for people who can't sit on a normal exercise bike because it can be used while sitting in a chair. 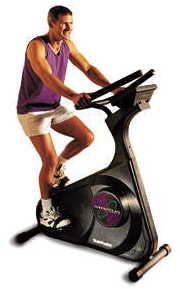 The pedal exerciser can also be placed on a table to exercise the arms. Ski machines are similar to rowers, in that they exercise the major muscle groups in a single fluid motion that simulates cross country skiing. The "skis" on these machines travel back and forth with leg motion. There are elastic cords to simulate the arm action of using ski poles. Offering another low impact workout, ski machines are also manual. Stair steppers are tried-and-true aerobic exercisers that focus on the large muscles in the legs. Simple in design and low impact, steppers are compact have adjustable resistance to increase as your strength and endurance increases. A better stair stepper will have hydraulic cylinders for smooth motion. Some steppers have moveable handgrips for working the upper body. New generation "tread climbers" add the benefit of walking on a treadmill to the simple stepping motion. Home gym equipment is expensive but will give you a great deal of flexibility. These machines (like the familiar Soloflex and Bowflex) allow you to perform health club quality exercises like squats, presses, curls and pulldowns on a single device. Most allow great adaptability in varying the weight and type of exercises, but often need to be set up for each exercise, disrupting the fluidity of the workout. If you invest in a home gym, consider working with a personal trainer the first few times you use the machine. This will optimize exercise benefits and minimize injury. Workout bench, incline bench, barbells, hand weights (dumbbells), weight sets and weight benches are less expensive ways to get all the benefits of resistance training without the high cost of a home gym. With this simple equipment, you can also simulate many health club exercises like squats, presses and curls. An incline bench adds the benefit of performing exercises in a semi-recumbent position. Barbells are long metal poles to which weights are attached at either end. Barbells can be used standing or while reclined on a bench. Dumbbells are individual hand held weights that can be used in an alternating motion. Dumbbells come in various weights - from as little as 2 lb. to as much as 20 lb. Using barbells and dumbbells often uses concepts of "sets" and "reps" (repetitions). For example, you would curl a hand weight in toward your body 10 times, rest, then curl another 10 times, rest and curl another 10 times. This would be defined as 3 sets of 10 reps. For basic body building, benches, barbells and dumbbells are hard to beat and highly affordable. Abdominal exercisers kick the standard sit-up or crunch up a notch or two because they help hold the body in the optimum position to perform these exercises. Consider an ab exerciser if the more traditional forms of exercise don't seem to be working. One simple ab exerciser is a wheel or series of wheels with handles on the axles. You kneel and roll the device out ahead of you while keeping your back straight. 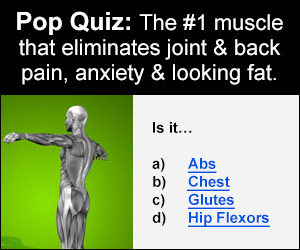 It allows the abdominal to be isolated, causing an effective extension and contraction of the abdominal muscles. Priced at well under $100, an ab exerciser might be an interesting gadget to add to your personal fitness routines. You may be tempted to buy discount exercise equipment, but try to resist the temptation. Visit a reputable gym and try out their high-end machines. The smooth action and fluid operation of a quality piece of physical weight lifting equipment will make your workout at home enjoyable and beneficial. Cheap treadmills and home gyms are very often inferior in durability and workmanship and ultimately not much of a bargain. 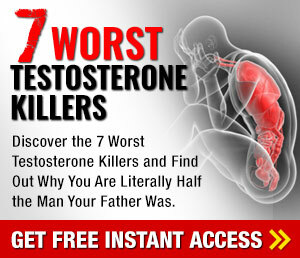 A good source of information on these products is the Internet. Just type "elliptical trainer" into any reliable search engine and a wealth of information will be returned to you, including reviews, pricing and makes/models available. Beware of equipment with a short warranty. That inexpensive treadmill with the 30 day warranty should send up all kinds of red flags. Fitness is a lifelong endeavor. Your weight lifting equipment should support that endeavor with reliable operation and quality components. Don't settle for anything less. 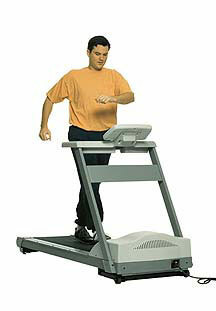 The treadmill continues to be a highly effective and extremely popular piece of exercise equipment. Treadmills are easy to use, require no special equipment and are one of the best calorie burners around. If you're setting up weight lifting equipment for use at home, a treadmill should be at the top of your list. In our next article, we'll discuss the features and functions you should look for when buying this important piece of home weight lifting equipment.